← To the young man standing behind me. Credit: Benedict Kim, Esoteric Vision Photography, for PACZ Tours. 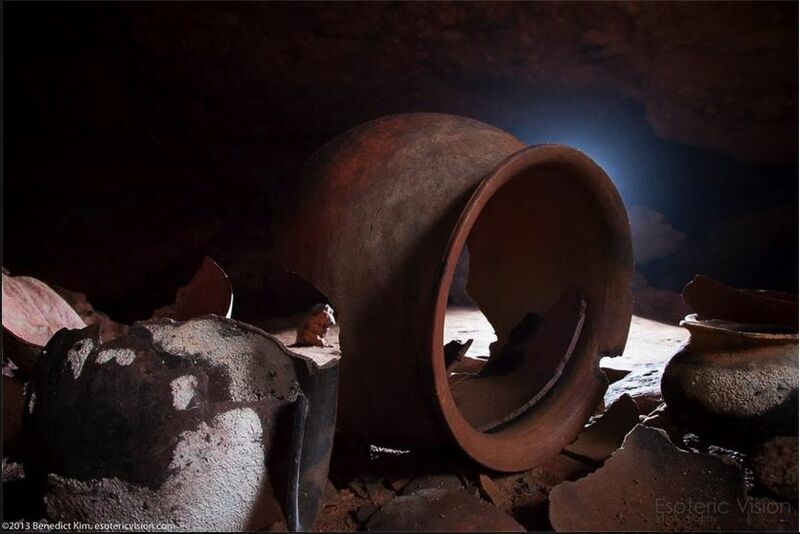 One of the most compelling features of the cave are the many, many ceramic pots strewn in shallow pools in the upper chamber. Almost without exception, they’re shattered. There are at least two theories: that the Maya brought them in already shattered, because the creation myth directs that the gods of the underworld only deserve damaged gifts; or that the Maya brought in pristine specimens to shatter as a sacrifice to Chaac the rain god. Archaeologists don’t know. Either way, the act of shattering the pot was meant to complete the vessel’s life cycle and release its spirit. I’ve been trying to wrap my head around this, but it’s so hard to place oneself in deep time. What kind of worldview begets such a weird act? I was writing my morning pages, and my pen ran out. 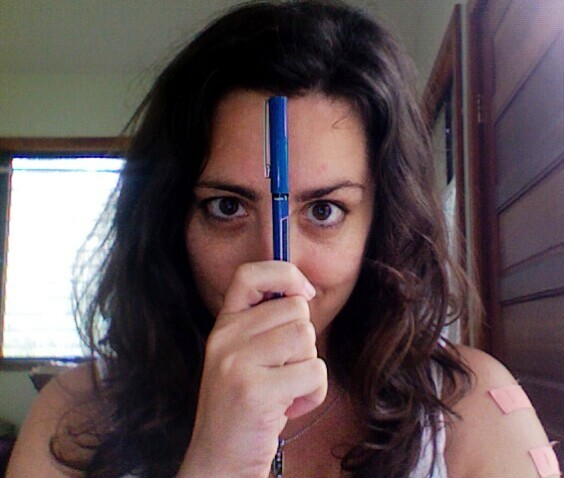 I am—not unlike many writers—extremely particular about what kind of pen I use. I’ve used a Pilot Precise V7 Blue in Fine since I was fourteen. I brought two dozen with me to Belize, just to be safe. I got another pen and went to throw the previous one away…and stopped. I realized I’d always felt guilty about throwing away my special pens unceremoniously. This time, into a grave of used tissues and coffee grounds and greasy plantain chip bags. It may sound ridiculous, but it just felt wrong. I’d been using this pen in my most sacred daily practice, and now I was going to cast it out just because the ink was spent, without honoring the vessel? —and I thought of the pots in the cave. I didn’t break my pen this time (there is the problem of bleeding ink). I just thanked it and tucked it into a corner of the wastebasket sort of respectfully. But the Mayas’ practice makes a whole lot of sense to me now. Maybe next time I’ll chop it in half with a machete. I think that would be satisfying for everyone involved. If you’re open to suggestions, other rituals could include setting the pen adrift on a raft made of broken pencils. Yesss and set it on fire. Like Boromir. ahhhhh, this insight DOES help! fantastic.